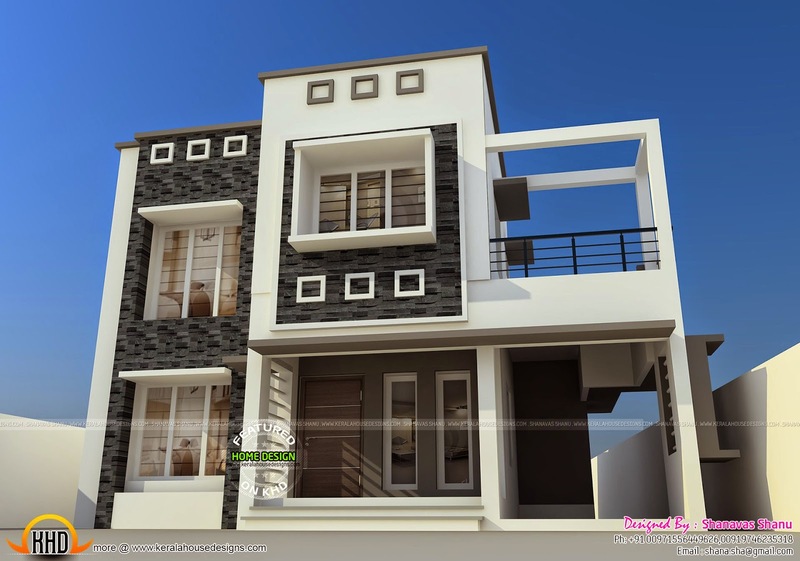 Flat roof style 3 bedroom home in 1969 Square Feet (183 Square Meter) (219 Square Yards). Designed by Shanavas Shanu. Total area : 1969 Sq.Ft.